It’s that time of year where children are back in class and refocusing on their studies. Many parents are forced to make the decision about whether their kids will remain in their swim classes or opt for other activities. At Premier, we support every parent in his or her decision because we understand that no one knows your kids better than you, but we wanted to take a moment to remind you of the top 5 reasons year-round swim lessons are worth the investment. The primary goal of teaching your child to swim is simple: help keep them safe around the water. 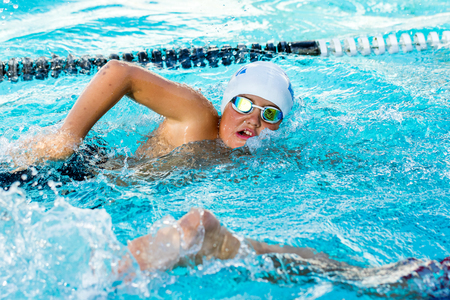 Like all new skills, swim skills need to be practiced for them to remain effective. As children progress through their summer swim lessons, they become more and more capable of staying afloat. However, after months outside of the water, those skills diminish significantly. With professional swim lessons, the curriculum is carefully crafted to progressively build upon skills. Each achievement leads them into the next level, so they are more likely to experience great success in their lessons. Professional swim lessons are designed to keep children learning in a continuous manner. When lessons are interrupted for months at a time, children spend a good deal of time relearning the skills they need to progress to the next level, which can be frustrating for both the child and the parents. In a study by the Griffith Institute for Educational Research in Australia, researchers found that children who participated in swim lessons demonstrated more advanced cognitive abilities than other children. From understanding directions to mathematics reasoning, your investment in childhood swim lessons may also be contributing to a stronger performance in the classroom. 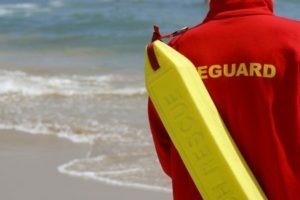 Despite the cooling temperatures outside, it’s important to keep your children safe and capable around the water. Keeping your child enrolled in year-round childhood swim lessons not only keeps their skills honed, but it also sets them up for lifelong fun in the water. Click here to learn more about the Premier Aquatic’s year-round swim lesson programs. Sign up for our Newsletter to receive discounts on offseason lessons! 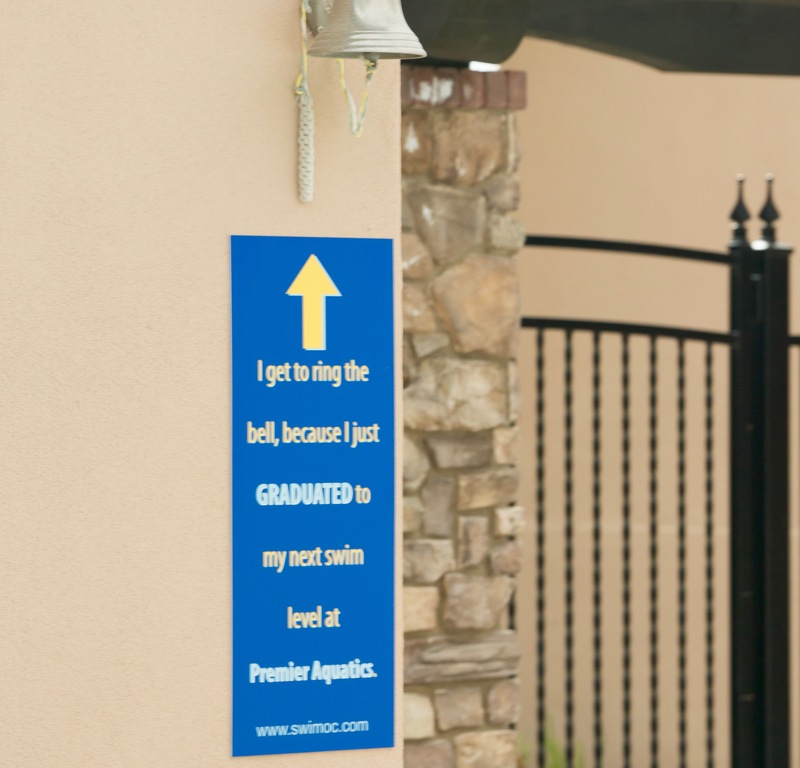 At Premier Aquatic Services, we reject the sink or swim mentality of old. Each child learns to swim at his or her own pace, and in order to develop a lifelong love of the water, that natural pace should be respected and nurtured. Therefore, we developed a six-stage program for our childhood swim lessons, built around skill-oriented goals. Simply put, each little swimmer must master specific skills before progressing on to the next level, regardless of the child’s age. Developed for those who are brand new to swimming, the first level of swim lessons are perfect for those who have no prior experience. In this class, children learn to hold their breath and put their faces in the water. They also develop a bond with and trust for their instructor, as they build the courage to jump from the stairs to their instructor. Progressing from the Jellyfish stage, children in this level are already proficient in holding their breath and putting their faces in the water. Now, they begin to learn how to float, fetch toys underwater, and perform basic strokes with the help of their instructor. In this stage, they grasp rhythmic breathing and explore the freestyle stroke. To advance into the Minnow stage, children are able to float unassisted for up to five seconds, retrieve toys in four feet of water, and perform assisted back floats. Level 3 classes teach them how to float on their back without assistance, move independently from the front floating position to a back float position, and kick in streamline for 15 feet. Additionally, children further develop their freestyle stroke by beginning to learn how to side breath with assistance from the instructor. Students entering the Lionfish classes are moving through the water unassisted with skill. Now, they begin to learn new techniques, including the breaststroke and butterfly kick. They also graduate from sit dives to knee dives. The final stage before “Pre Team” levels, children finalize the development of their core swimming skills. In the Level 6 class, they become proficient at all four competitive strokes – freestyle, backstroke, breaststroke, and butterfly. Additionally, they learn to become comfortable with deck dives. For children under the age of three, Premier Aquatic Services offers Parent & Me classes that introduce babies to the water. For older and more skilled swimmers, Premier Aquatic Services offers Pre Team and Swim Team programs designed to continue to develop a child’s skills and prepare them for more competitive programs. To learn more about our swim lesson programs and register your family for spring and summer classes, visit our aquatic services page. For more information on water safety, follow us on Facebook. Can Swim Lessons Make Your Child Smarter? Kids are amazing. There’s no way around it. They often tackle new tasks with a fearlessness that adults envy. Children are sponges for information, constantly learning and growing. However, we also know that participating in certain activities helps develop the skills associated with learning. 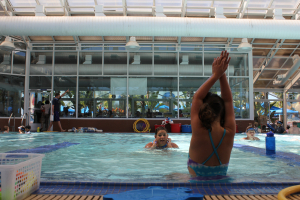 In a recent study by the Griffith Institute for Educational Research in Australia, researchers discovered that early childhood swim lessons might be more valuable than initially recognized. Following a four-year study, the researchers concluded that children who participated in swim lessons demonstrated more advanced cognitive and physical abilities than other children. While many of us understood that swim lessons contributed to making our children more confident and social, it is an exciting development to discover that the lessons may also be making them smarter. How Do Swim Lessons Help My Child? Swim lessons with qualified instructors can help your child in so many ways. Aside from the commonly discussed physical benefits, swim lessons expose children to a myriad of learning opportunities in a non-threatening environment because the children do not feel pressured to learn. After all, they are having fun. Think of how often you hear counting around the pool. Consider the intellectual impact of a small child receiving conceptual instructions, such as how to kick or float, and putting those instructions into motion. Watch as your child’s communication patterns begin to shift depending on whether they are speaking with their peers or instructors. Most of all, enjoy the confidence your child exudes as he or she learns new skills and feels a sense of accomplishment. 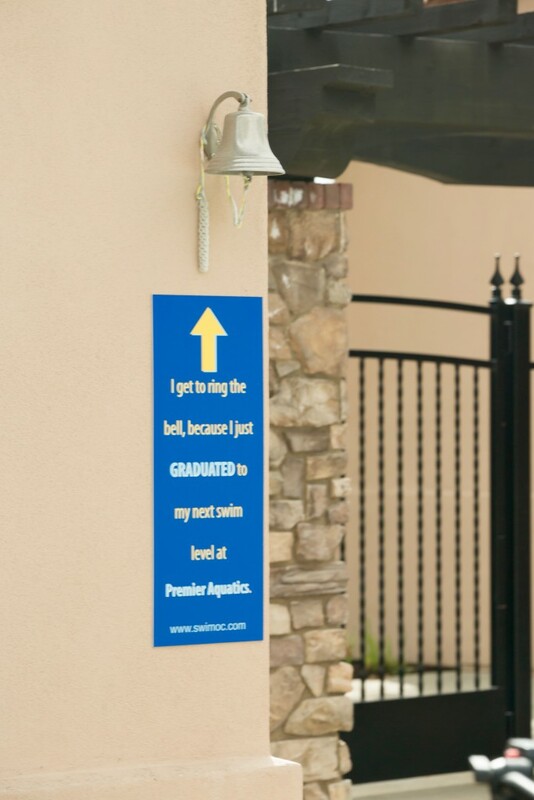 Premier Aquatic Services swim instructors use an exciting approach to help swimmers of all ages develop a love of the water. Our instructors are experienced with teaching all levels, whether it be helping beginners to be more comfortable in the water or training more experienced competitors on how to improve their stroke technique. To learn more about our swim lesson programs and register your child for summer and fall classes, visit our aquatic services page. Living in Orange County, we are surrounded by the water. Either you or your neighbor probably has a pool, or there is a community pool within a mile from your house. Not to mention that the beach is just quick a trip away for many of us. It is important to get your child comfortable with the water as soon as possible. You can start introducing your child to the water as soon as you feel comfortable doing so. For children under 3 years old, we offer parent and me classes that are designed to provide children with a safe and comfortable learning environment. During these classes, children learn basic swim skills in the comfort of their parent or guardian’s arms. We also combine important repetitive swim skills with fun games during the class to help make the transition into formal swim lessons easier. You and your child will also learn important water safety information during the class. Most 2-year-olds aren’t developmentally ready for solo swim lessons or able to listen to an instructor for any length of time, so we recommend waiting until they are 3-years-old. Once your child reaches three to four years old, they can start starting taking private and group lessons. At this age, most children are developmentally ready for solo swim lessons and will be able to follow instructions. We offer a wide variety of swim classes for children three and four years old. Each program focuses on getting children comfortable with the water and teaching them how to hold their breath while learning basic arm and legs movements. If you are interested in signing your child up for a swim lessons, you can visit our website and register them today. You can also contact us if you have any questions about whether your child is ready for swim lessons. When selecting a swim school for your child or yourself, it is important to make sure that you choose a US Swim School Association approved facility. The United States Swim School Association (USSSA) was founded in 1988 to provide a trade association for swim schools in the United States. This was the first ever organization that connected swim schools across the country. Today, the association has more than 400 members in the United States and 25 international members. The USSSA ensures that members of the association are held to the highest standards so that parents and students are provided with a reliable and trustworthy resource when searching for a swim school. By choosing a school approved by the USSSA, parents can be sure that their child is attending a school that is safe and CPR/AED certified. Members of the USSSA are also regularly updated on the latest techniques for teaching children how to swim. The US Swim School Association issues an exclusive swim lesson curriculum to their members. This is the curriculum has been used to teach thousands of children how to swim. It is a proven method that is continually being improved. Children who enroll in a USSSA approved swim school will learn at faster rate and develop the correct techniques without picking up improper swimming habits. Premier Aquatic Services is a proud member of the US Swim School Association and we offer swim classes throughout Orange County. Find a swim class near you today.